Home MMA News Josh Thomson Says Cain Velasquez Is Ready To Fight Again! 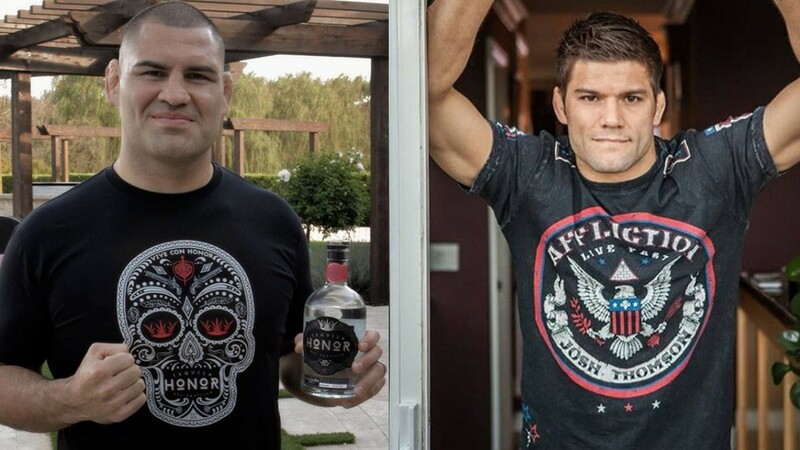 Josh Thomson Says Cain Velasquez Is Ready To Fight Again! Cain Velasquez was one of the most dominant Heavyweight competitors. The former four-time UFC Heavyweight champion is known for one of the cruelest beatdowns over Brock Lesnar at UFC 121 on October 23, 2010. He is also the only guy who defeated Junior dos Santos two times. Unfortunately, “Cardio Cain” had a lot of problems with the injuries. Cain Velasquez (14-2 MMA, 12-2 UFC) didn’t fight since UFC 200, which was on July 10, 2016. Josh Thomson is Cain’s longtime sparring partner at American Kickboxing Academy. He has recently tweeted that UFC was talking too much sh*t about Velasquez. Everyone needs to ask the @ufc why @cainmma isn’t back. Let’s not beat around the bush anymore with this and let’s be honest, #UFC #HW division needs him but they bullshitting with this dude. @dc_mma won’t be around to keep saving their shows. Josh Thomson believes Stipe Miocic is the only Heavyweight fighter who might give Cain a hard time. He also marked Daniel Cormier as a dangerous threat. Yet, Thompson believes “Cardio Cain” won’t be fighting “DC”. Josh Thomson also said that Daniel Cormier targets three names before the end of his career – Jon Jones, Brock Lesnar, and Derrick Lewis. “Punk” also described why Cormier accepted the Heavyweight title defense on such a short notice. Josh Thomson also added that Cormier’s career is closing to an end. According to “Punk”, Cain Velasquez is great for the future of UFC Heavyweight division. After all, his popularity in the Mexican market knows no limits. Would you like to see Cain Velasquez fighting again? One of the most dominant ground and pound superstars in the history of this sport could defeat even the biggest names. After all, he still holds the record for the highest number of takedowns in UFC Heavyweight division – 34. And he hasn’t fought for more than two years!